NOTE: This page is for detailed information about the Genetics Advanced Concentration only. All inquiries concerning admission to the BMS must be directed to the BMS Admissions office at biomed@med.ufl.edu. More information on admissions is also available on the Admissions Page. 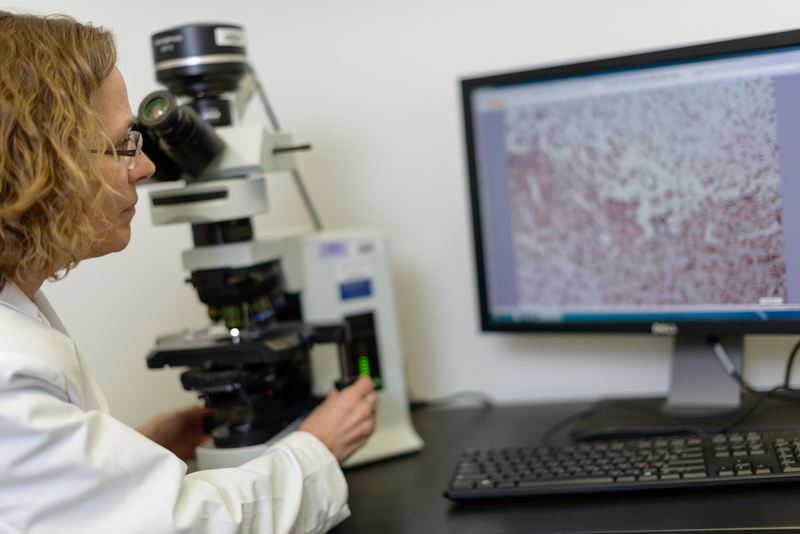 The Advanced Concentration in Genetics is one of eight advanced concentrations leading to the Ph.D. degree under the auspices of the Graduate Program (BMS) in Biomedical Sciences at the University of Florida College of Medicine. Genetics is the basis for all of biology and is the most rapidly evolving field in biomedical research, applicable from the most simple organism to humans. Genetics can include simply using tools to manipulate nucleic acids or employing a genetic strategy to develop and test hypotheses and translational resources. 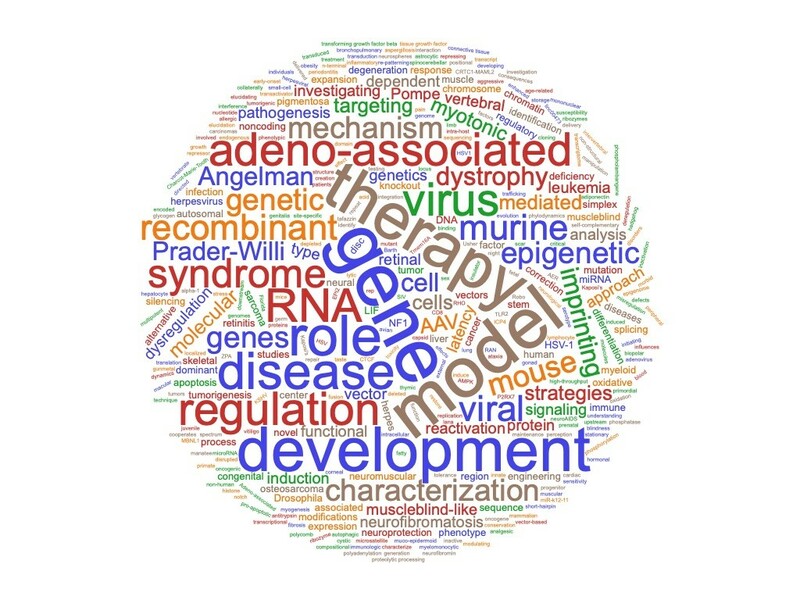 In our concentration, the goal is to use genetics to advance understanding of disease processes and potential therapies. Nearly 70 faculty are affiliated with the concentration, from six colleges, providing broad opportunities for graduate training involving genetics. The Genetics concentration is highly flexible, allowing students/mentors to completely tailor all optional coursework, lab training, and other opportunities (e.g. professional development, community service, teaching, collaboration) for each student’s project and long-term goals. Learn about the UF Center for NeuroGenetics. Beyond the First Year: Students must earn > 6 graduate credits in courses, which can include graduate credits transferred in with permission of concentration co-directors. —GMS 6920 Genetics Journal Club (1 credit) in the fall of every year, with option to take a different journal club in the spring semesters. —All graduate level Statistics and Biostatistics courses are acceptable, and courses not in the BMS curriculum list can be brought to the concentration co-directors for approval. Summer Option: GMS 5905 Special Topics: Genetics Grant Writing (1 credit) typically taken after the end of the 2nd year, to prepare for the Qualifying Exam written proposal. All grad level Statistics and Biostatistics courses are acceptable; graduate courses not listed in the BMS curriculum must be brought to the co-directors for approval. Most Genetics students take at least half of the 6 credits in the second year, but they can be spread throughout the training as well. For a list of faculty members in the Genetics advanced program, please click here. Meet Eric Wang, Ph.D. and learn about his research in RNA regulation. Over the 20 years of this program, our concentration has graduated over 100 PhDs, with an average of 1.8 first author papers and 2.2 co-authorships. Students have successfully competed for fellowships from the NIH, American Heart Association and UF’s Clinical and Translational TL1 program. In addition, students often gain positions on UF Health Science Center training grants. Students who are awarded an individual fellowship receive a bonus for each semester he/she holds the award. Based on students from the first 15 years of the program, career distribution is: 63% academia (tenure track and non-tenure track), 20% private industry, 7% federal positions (CDC, NIH, FDA, etc), 10% other (e.g. science law, clinical research, clinical lab director, science policy, science business administration, non-profit foundations). HSV1 latent transcription and non-coding RNA: A critical retrospective. Phelan D, Barrozo ER, Bloom DC. J Neuroimmunol. 2017 Jul 15;308:65-101. Immune Cell Metabolism in Systemic Lupus Erythematosus. Choi SC, Titov AA, Sivakumar R, Li W, Morel L. Curr Rheumatol Rep. 2016 Nov;18(11):66. The Role of AMPK Pathway in Neuroprotection. Xu L, Ash JD. Adv Exp Med Biol. 2016;854:425-30. 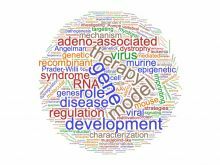 MicroRNA dependent and independent deregulation of long non-coding RNAs by an pncogenic herpesvirus. Sethuraman S, Gay LA, Jain V, Haecker I, Renne R. PLoS Pathog. 2017 Jul 17;13(7):e1006508.